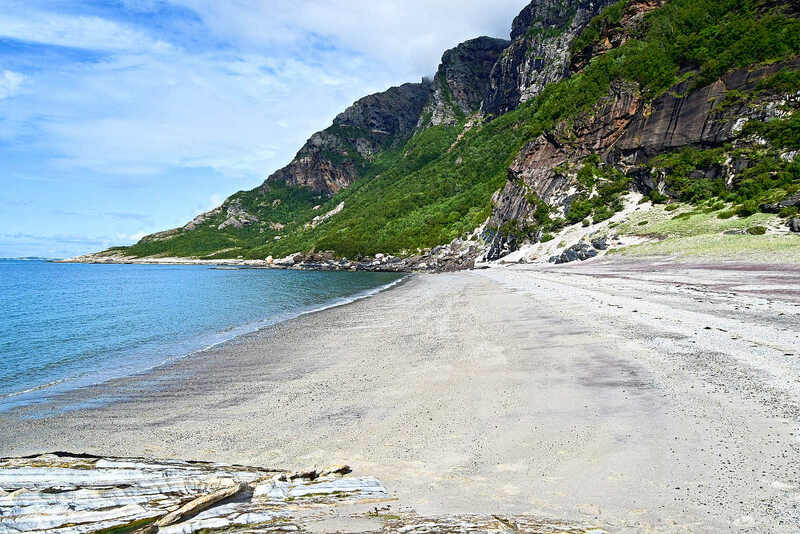 Mjelle Beach - Join an easy day trip from Bodø in Northern Norway. 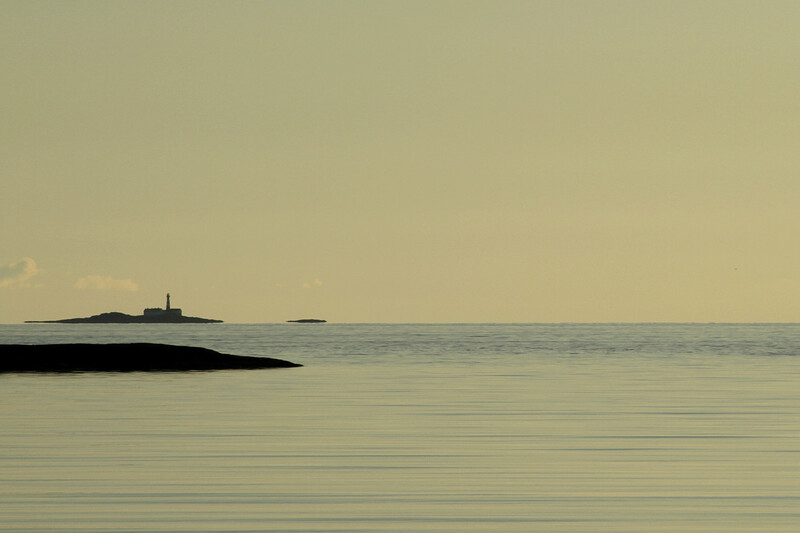 Mjelle Beach is one of many beaches close to Bodø and a great place for a day trip from this beautiful town. White sandy beaches may not be the first thing that comes to mind when you hear Arctic Norway? The fact is that some of the most stunning beaches in Norway is found up north. Walk on gemstones? Mjelle Beach is listed on TripAdvisor as one of the most popular things to do while visiting Bodø. 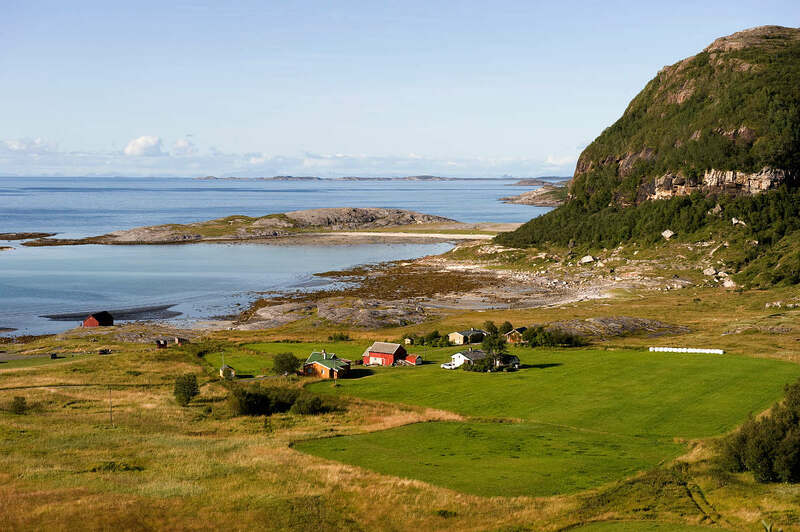 A day trip to Mjelle is popular among locals and a great place for a quick getaway from Bodø. The sand of this secluded beach is both white and red. The red sand takes its colour from gemstone particles (garnet minerals). Ideal for children: Getting to the Mjelle Beach is an easy stroll even for young ones, as it’s only a 30-minute walk from the car park. For young children, the beach is a giant sandpit with free rocks and shells. Some of the most stunning beaches in Norway can be found in the north. Photo: Terje Rakke - Nordic life - Visitnorway. Barefoot stroll: Mjelle is a beautiful beach where you can just to sit down, enjoy the silence, stroll barefoot and try the art of doing nothing at all. The beach is clean, but the sea is not very warm. If you’re tempted by the clear, cold water, you may wish to dip your toes. 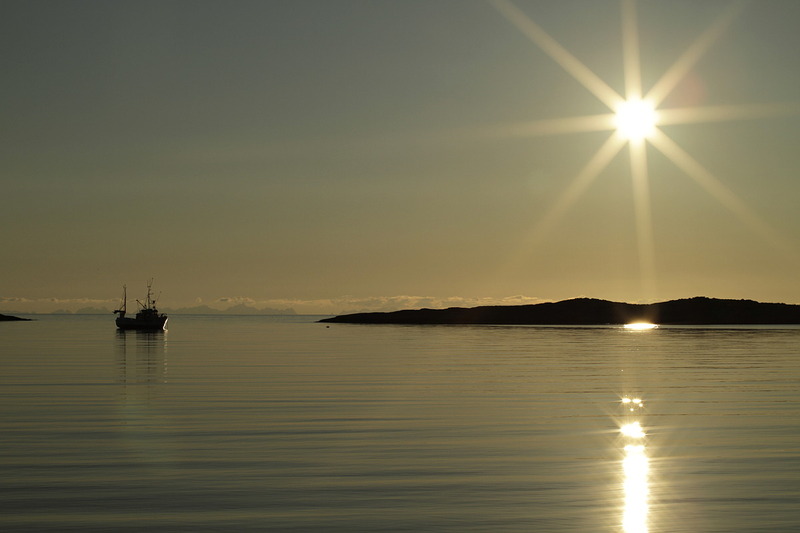 A photographer’s paradise: Mjelle is a perfect place for instagrammers and one of the two best places in Bodø to experience the Midnight Sun. Keiservarden mountain plateau is the other. Check Currency Calculator to convert into your currency. Easy. Please see details below. A total of 4 - 6 hours, including transport from/to downtown Bodø. Min: 2 people. Available for groups. Please see details below. We run this tour year-round, weather permitting. Do I need any outdoor experience? Is this trip for me? This trip is designed for beginners. You don’t need any specific skills. This trip is possible for young children, but the trail is not accessible by stroller. Grading: This trip is graded as Easy – Green grading. More about the grading system in Norway. Terrain: You must be able to walk on gravel roads and trails in even terrain. Total length: Approx. 3 km there and back. The mileage from Bodø by car (or minibus) is 25 km each way. Elevation: Nothing to worry about, starting point 5 metres above sea level. Highest point along the trail is no more than 10 m a.s.l. 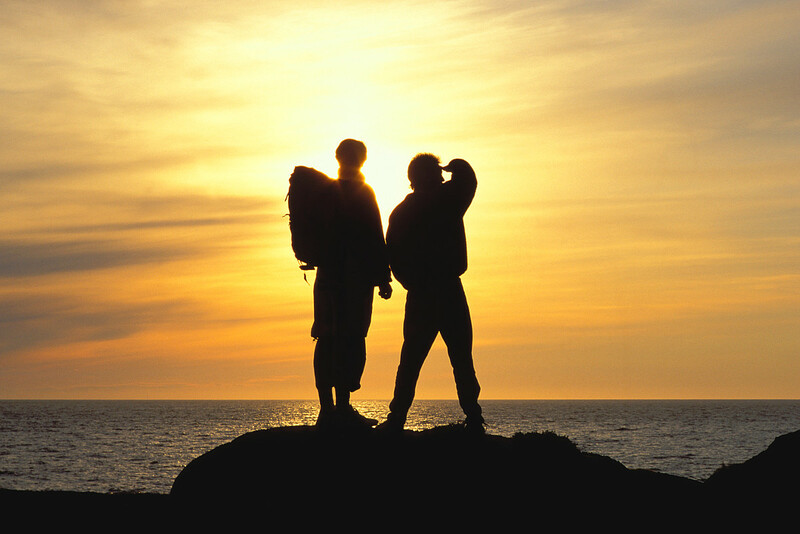 Your own hiking gear suitable for the prevailing wind and weather conditions. Good footwear (hiking boots or sturdy running shoes) is an advantage. A small daypack for your snack, camera and some extra clothing. A knowledgeable, English-speaking guide with a sense of humour and passion for this area. Return transfers from downtown Bodø to the starting point and back again after the trip are included in the tour price. Quality headlamps (for evening and winter hikes only) which make the trip enjoyable even during the winter darkness. The meeting point is by the Tourist Information in Bodø. Please see map above. Meeting time: We operate this tour at fixed times. Please see start times in the booking calendar. Typical group size for our trips range from 2 to 10 (15). We prefer to keep the group size as small as possible for these trips, which improves the experience for the participants and guide alike. What is the minimum number of participants? To run this tour, a minimum of two people must book. If this minimum is not met, we reserve the right to cancel the tour. You will then have the option of being rebooked on an alternative date or receiving a full refund. Larger groups can easily join this trip. In such cases, we divide the group into smaller groups of 8-10 people, each of which will be accompanied by their own guide. NB: We don’t mix private group trips with solo travellers. Can I book if I’m on my own? Yes, you can! The groups on several of our trips are made up of solo travellers. You are welcome to come on your own and make new friends. Private tour as solo traveller? If you are the only one to book but you wish to go ahead with the tour on your original date, another option is to book a private tour. In this case, you will need to pay for the minimum number of participants required. There is normally no need to cancel this trip due to weather. A trip to Mjelle Beach is even possible on rainy days if you are well dressed. The only exception is extremely strong wind and/or heavy rain. If the weather gets too bad, we will consider choosing alternative experiences. Check weather forecast for Nordland. Need More Info About Mjelle Beach in Bodø?